EghtesadOnline: As the harbinger of peace between human beings and the nature, Norouz the traditional Iranian festival of spring, has been celebrated across Western and Central Asia, the Caucasus, the Black Sea Basin and the Balkans for 3,000 years. Norouz, literally “New Day”, however, remains to have its origins in Iran and Zoroastrianism, the ancient pre-Islamic religion. But, according to IRNA, the Iranian people, following converting to Islam, have not abandoned marking the long-lasting tradition, also known as the Persian New Year. 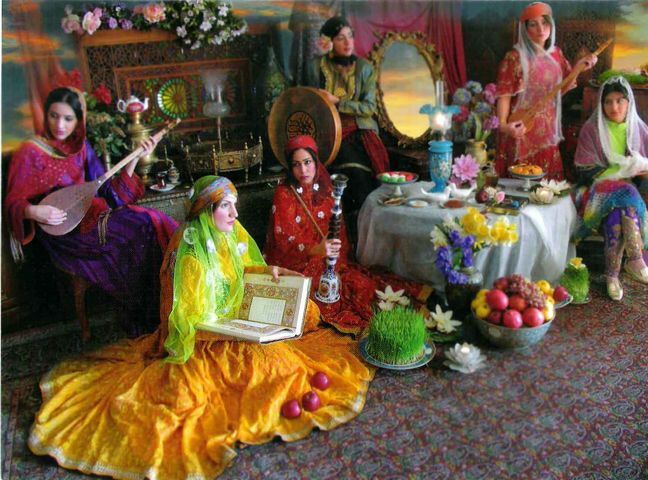 Instead, the Iranians have given Norouz, which marks the beginning of spring, an Islamic color. People in Iran mark the turn of the year by saying a famous prayer, asking God to change their minds and perceptions in the same way He revives the nature. Change ours to finest as You wish. The prayers carry a fundamental message; a message deeply rooted in the history of Iran, traditionally served to be a safe haven for all ethnic and religious groups and all the peace-seeking people of the world. The Iranian people seize the moment each year at the beginning of spring, and at the turn of the year, to say the prayer, reminding their kin across the globe of the need for change. It is a reminder calling on the people across the globe to do away with their differences and as appears in the words of Iranian famous 13th century poet Saadi Shirazi, to once again remember that human beings are members of a whole. Norouz is a symbol of a cultural attempt by the Iranian people and all those who mark it each year, to promote solidarity and peaceful co-existence among nations. It is a global celebration of spirituality, humanity, kindness and love for mankind, solidarity, social justice, happiness and joy, peace, dignity and purity of hearts. Finally, inscribed on UNESCO's Intangible Cultural Heritage List, the International Norouz Day, remains to be a global constructive tradition that as a politico-cultural element is expected to promote convergence. In his 2016 Norouz message, President Hassan Rouhani described Norouz as something that helps regional states forge closer ties. “Norouz is the festival of moderation and the most ancient dynamic tradition in our common history,” the Iranian President says.